I have to do a yearly round-up! 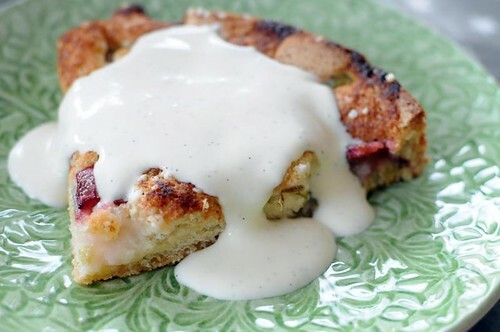 I know I haven't been posting as much as I've used to, but there's still been some really good stuff this year, and recipes I really don't want you to miss. 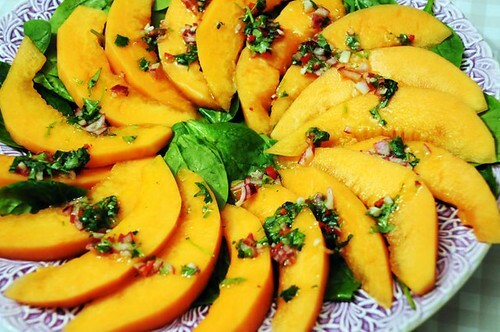 January: Melon salad with Lime-Coriander Salsa is a great light side dish. Another side is Brown Butter Carrot Mash - not so light, but SO delicious. And a great take on an old dish is Hawaiian Chicken - I love it. 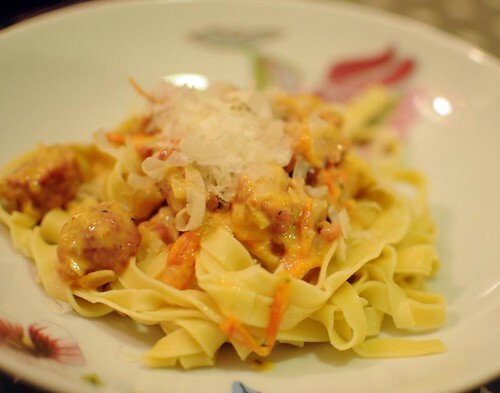 February: My favorite this month is easily Pasta with fresh Salsiccia. It's something we've made many times during the year, with or without variations. 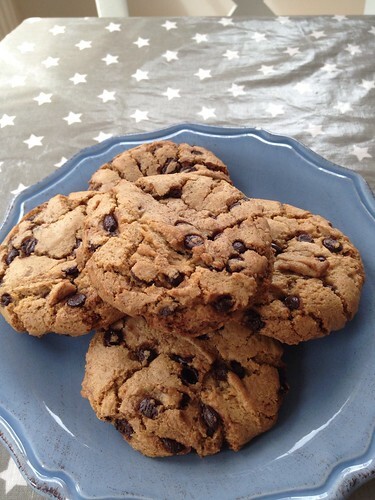 I also found a better recipe for Swedish pancakes, and made Mocha-Coconut Muffins . 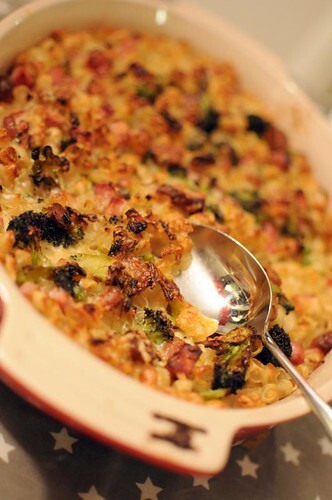 March: Not a lot going on this month, but my Macaroni Pudding with Broccoli was really good. April: Most important this month - I had a baby! 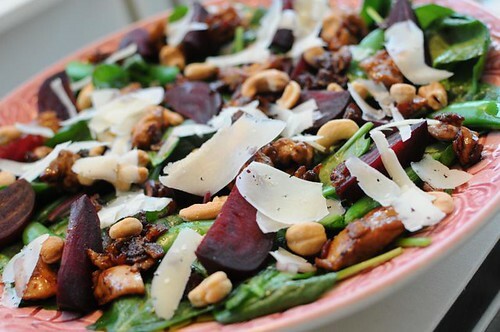 And as for food, don't miss the Cauliflower Soup, or the Chicken Salad with Beets! 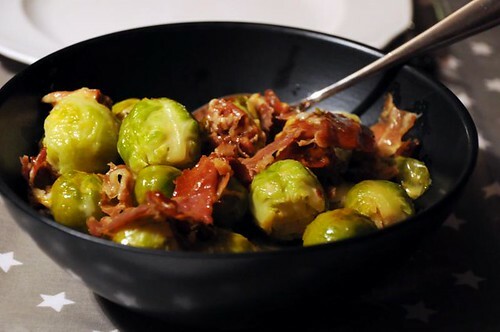 May: Side dishes won this month - Creamed Corn, and Brussel Sprouts with Orange and Parma Ham. June: Oooh, lots of good stuff this month! Muffins with Rhubarb and White Chocolate, Thai-ish chicken burgers, my brother's Tomato Salad and really awesome Chewy Chocolate Chip Cookies. July: Again, a good month. The Jalapeño Bacon Cheese Ball was unexpectedly good. 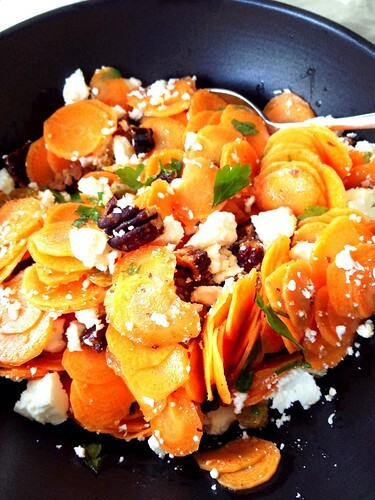 A Carrot Salad with Feta and Pecans found its way to my table many times, with some variations. And our favorite pasta had a sauce with Roasted Red Peppers. August: My husband made Brownies. I made a Trio of Strawberry Jam. And I decided to never again buy ready-made vanilla sauce, when the original Quick Vanilla Sauce (råkräm) is so quick and easy. September: Some seriously bold flavors as fall approaches. 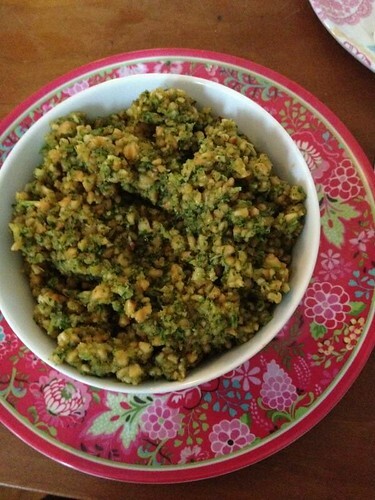 A Coriander-Peanut Pesto is maybe my favorite of the whole year. We started making basic risotto with lots of mix-ins, this one a Carrot & Leek Risotto. I made my own Sauce Remoulade for the first, but certainly not last time. And Tortilla Roll-Ups was a brilliant idea for picnics, too bad the season was nearly over. 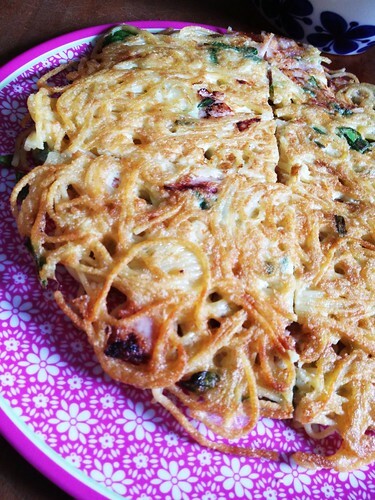 October: Three great things - Spaghetti Triangles, Feta-Topped Salmon and Vegetarian Potstickers. 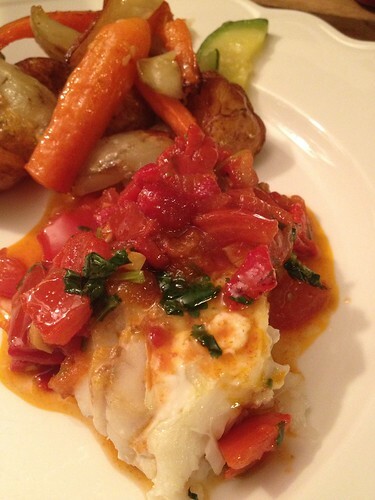 November: I don't eat much fish, but this Tomato & Red Pepper Sauce went really well over cod. Pork Stew with Tarragon was delicious. I made these simple Baguettes several times. And Roasted Cauliflower with a Capers Vinaigrette... oh, awesome. December: There were those amazing Christmas ribs, with ginger and orange. And a Broccoli Avocado Salad. A Lamb Meatloaf, stuffed with Feta cheese. 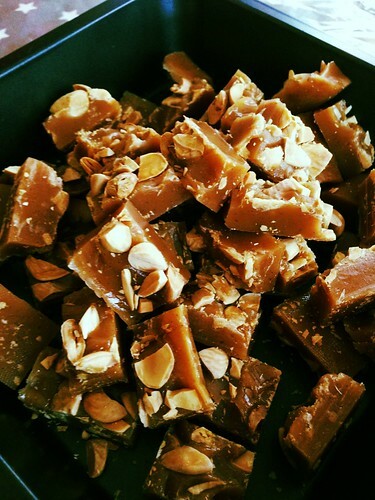 And ending the year on a sweet note, don't miss these Almond Vanilla Caramels.